We couldn’t be more stoked coming back into the new year with a brand new award from Xero. As one of the hundreds of apps on the Xero Marketplace, it’s no easy feat to be honoured by being awarded the Xero App Partner of the Month January 2019. This is the second time Tradify has grabbed this award with our very first award that we earned in 2017. Just goes to show our desire to improve and grow in the Xero Ecosystem is still strong. We now have more than doubled the number of companies using Xero and Tradify and this number grows every day. Our customers are able to see an instant connection of benefits by having both Xero and Tradify integrated to streamline their jobs from task creation, to quotes to invoice, without having to double up paperwork. Our strategic priority for the next year is to focus on growing our user base. 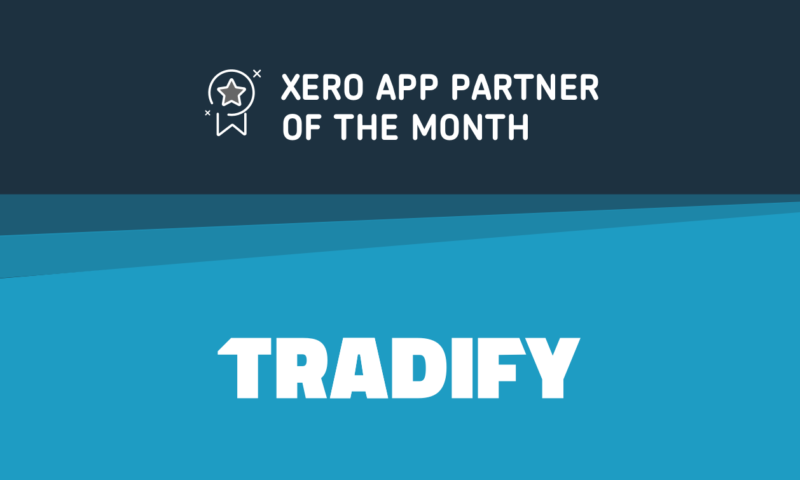 Xero users in the trade industry are the best fit for Tradify and we intend on investing on their needs. Our own experience has taught us that organic growth through referrals mainly from Xero has been a significant source to bringing customers of the right fit to our doorstep. Our review rating on Xero is 4.7 out of 5 stars from nearly 100 users. Our tradie customers rave about how “Tradify has given them their nights back.” We could go on and on but don’t just take our word for it, see for yourself below. We’re sure you’d prefer to hear it from the horse’s mouth. From Accounts AV Expression, 30th July, 2018. From Chris Pybus, 15 May, 2018. From Fiona Merritt, 2 Aug 2018. We are committed to truly understanding our customers’ business and providing them solutions to their pain points. Our focus is ensuring Tradify helps its customers run their business more efficiently and spending more time ‘completing jobs’ than ‘managing jobs’. We have a team fully dedicated to addressing user experience as any technology/tool must be intuitive for it’s user so our customers see instant benefits from the first day they use it. This is how we pride ourselves on being simple to use. We’ve been intentional about our long-term commitment to the Xero Ecosystem and have been at many of the Xero Roadshows (Aust and NZ) and Xerocon Conferences around the world from Australia to London. If you’ve ever been to one, you’ll no doubt have seen one of our Tradify team members floating around. 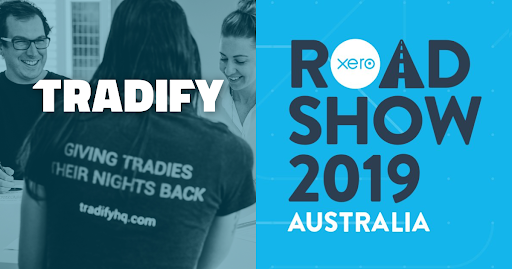 And we won’t disappoint this year either with the upcoming road trip in Australia next week for the Xero Roadshow Australia 2019. We’ll be visiting Townsville, Cairns, Sunshine Coast, Brisbane, Gold Coast, Adelaide and Perth. So come say hi if you’re there! Further to our involvement with the Xero team at their events, we’ve also been a strong supporter of the Xero Trade & Construction App Playbook where Tradify was featured in its release. Plus we even went further to be a key part of the Xero U course for Trade and Construction encouraging our integral accountant and bookkeeping partners to earn that badge to become a Xero official adviser to recommend apps to trade clients. Our growth plans through global reach has also been closely aligned with Xero’s own growth plans. Both Xero and Tradify have a significant opportunity in the UK market with the trade industry operating in a similar fashion to Australia and NZ. We’ve recently put our international growth plans in place with launching our UK operations last year. 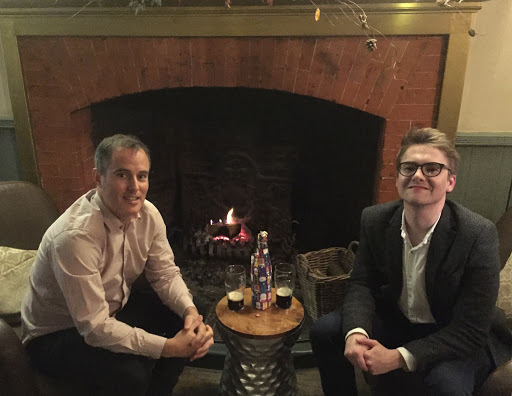 Tradify has team members on the ground in Reading, UK connecting with all the tradies in the region. Check out two of our superstars below from the UK team having their own little staff Xmas party last year. What’s Tradify up to in 2019? There will be 3 key areas of focus that will be significant game changers for Tradify this year. Product Innovation with User Experience at its core. Scaling for growth through effective channel acquisition. We couldn’t be more excited about what 2019 will bring for us but the Tradify team is ready with our tool belts on to tackle any job. Bring it on! Don’t forget to check out the recent Xero Blog on our achievement in winning this award. If you haven’t tried Tradify yet, give it a go now with our free trial.